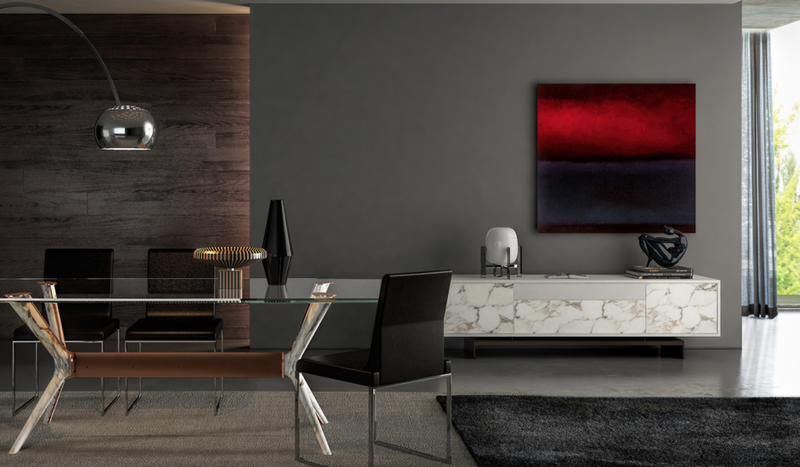 A Portuguese brand with innovative design solutions for aesthetic and luxurious contemporary home living furniture. 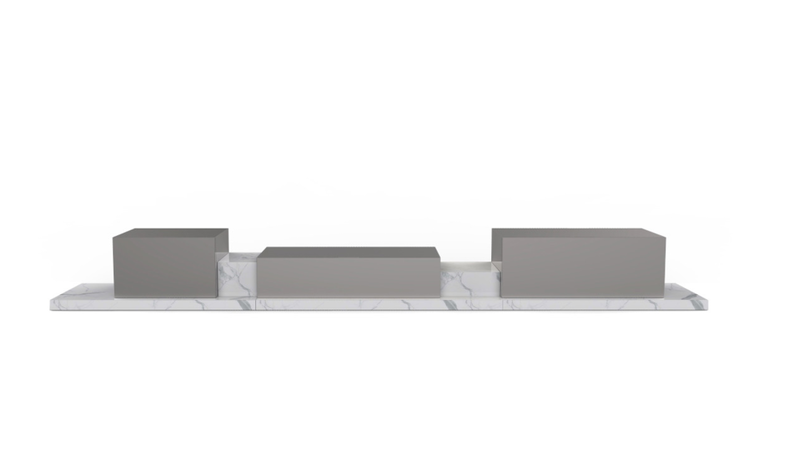 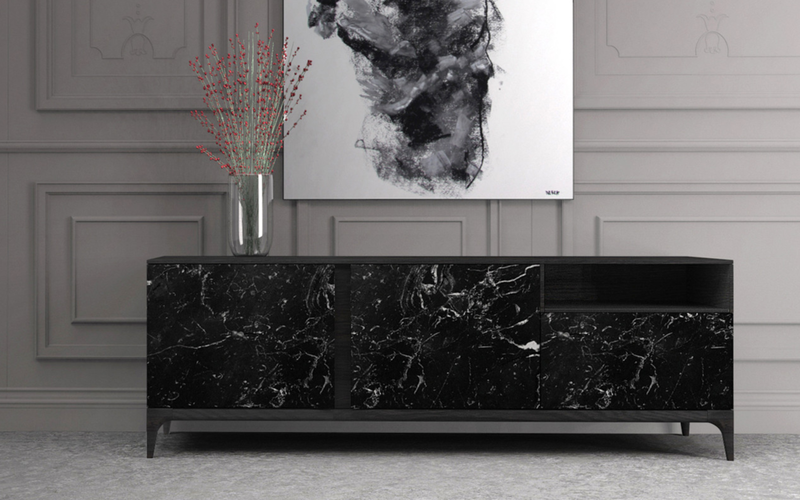 Mastery and expertise of craftsmen and creative team have come together with the most advanced technology to develop unique pieces of rare beauty and timeless elegance in noble materials like marbles, granites, Silestone, wood and aluminum. 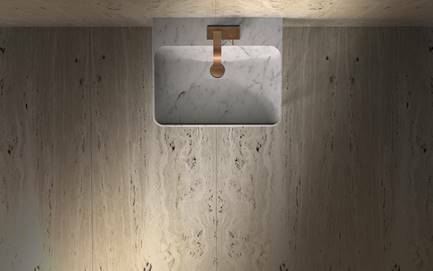 Directly from the world's premiere quarries in Greece, Italy and Portugal, we source the natural material that shapes this portfolio, with features of rare beauty and flawless residential stonework. 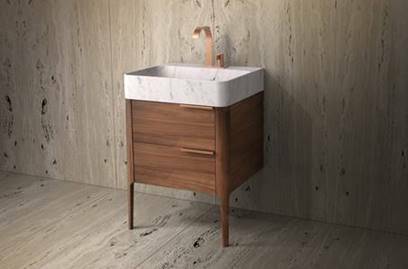 Shown Below: Washbasin in Carrara marble, walnut wood veneer cabinet and top in Carrara marble. 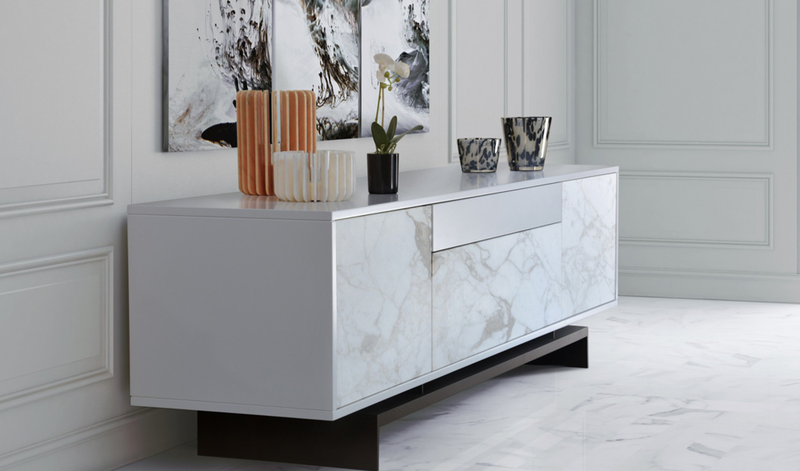 Shown below: the TRIGONO sideboard is a masterpiece assemblage of the finest marble and wood veneer. 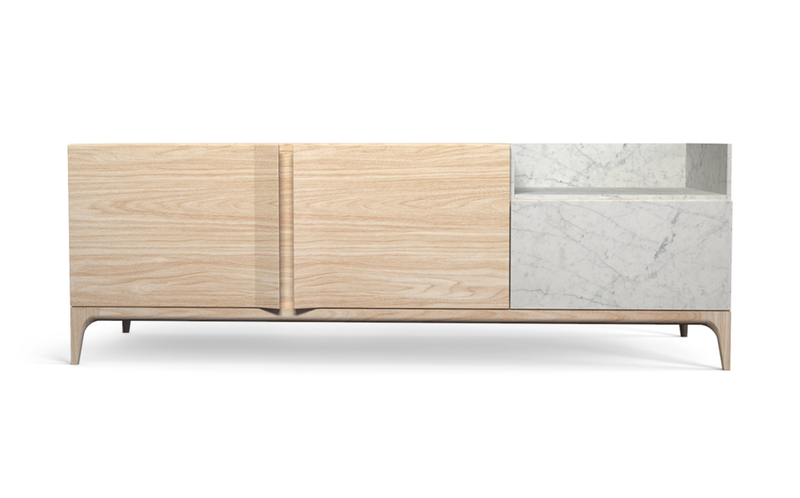 The contrast tones confer both tension and visual warmth to the TRIGONO sideboard. 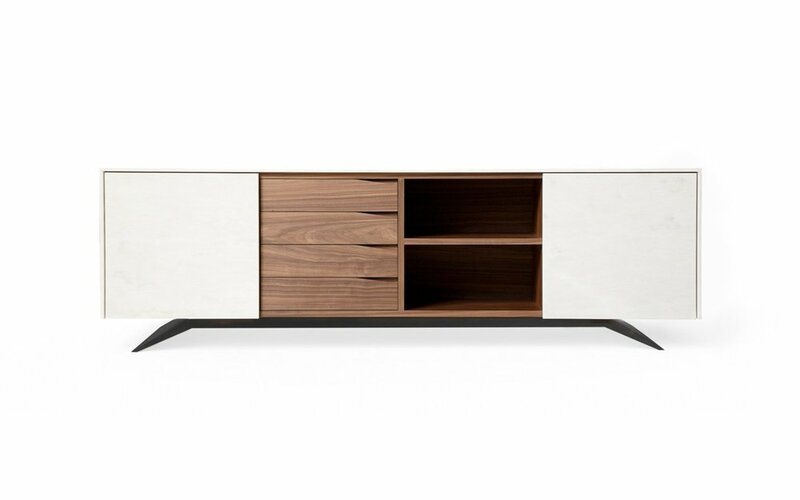 Its cubic volume is divided in equal compartments with shelves, drawers and doors, and stands on elegant and light legs. 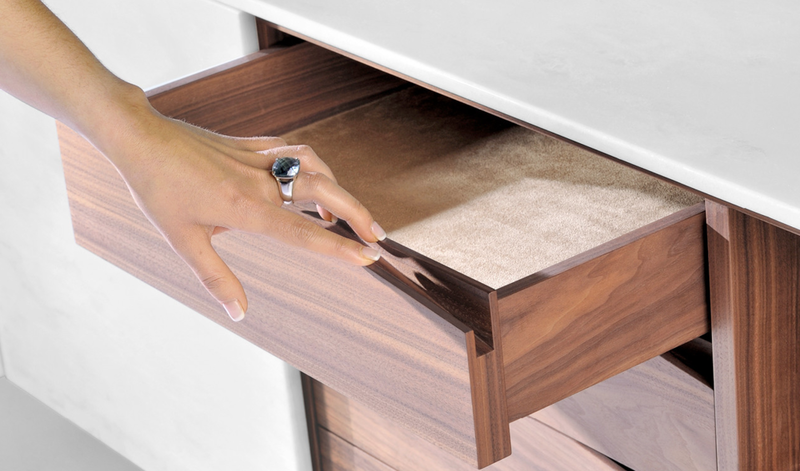 The ultimate detail: the handles of the drawers are fluidly incorporated in the front surface. 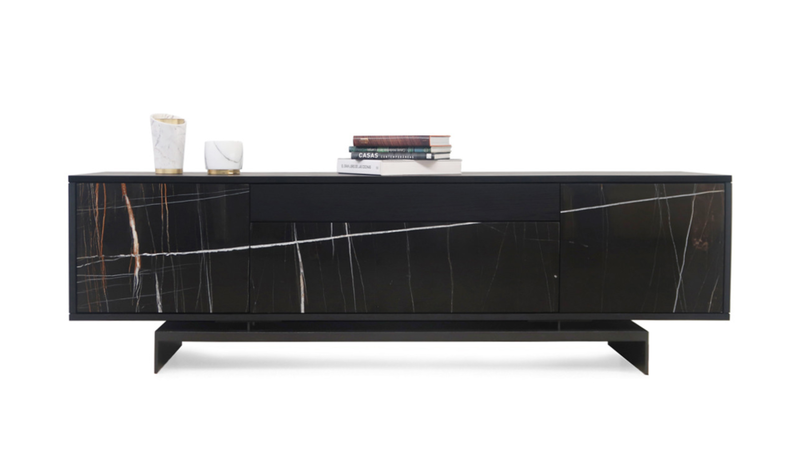 This Console piece of exquisite elegance and lightness, with an intriguing sense of disequilibrium and instability, given by the presence of only one leg. 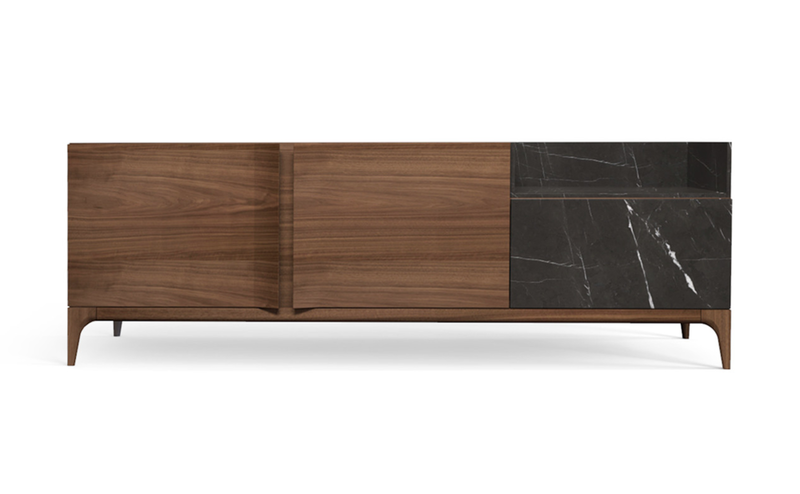 A slim height drawer and shelf, as well as the top, offer comfortable storage space to this partially wall mounted piece of iconic furniture. 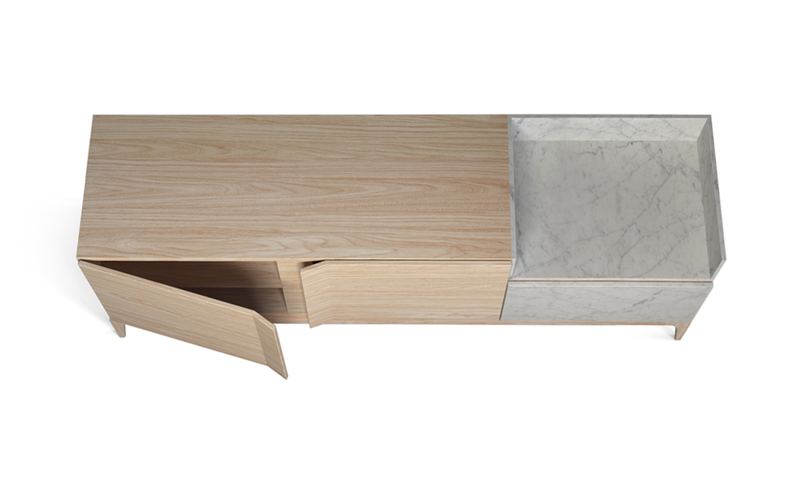 The finishes of a unique piece of precious marble perfectly match the slim milled brass leg. 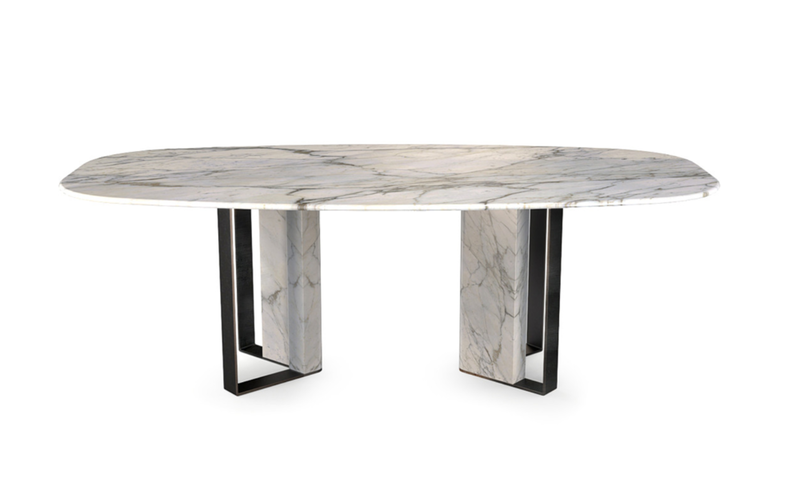 Marble coffee table with marble & brass feet. 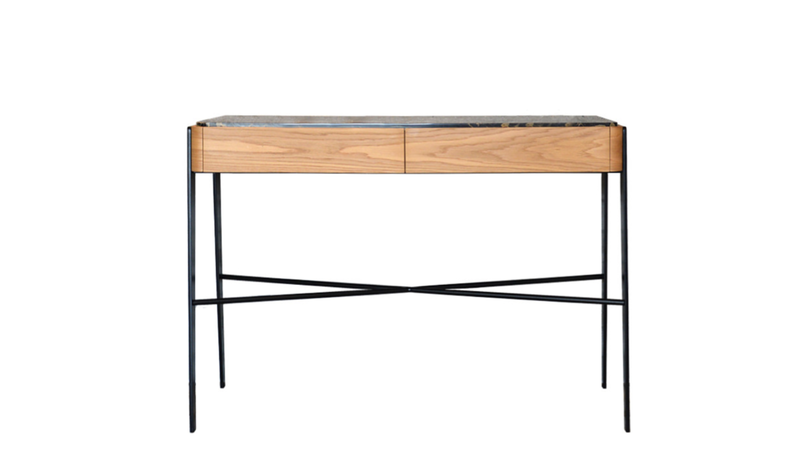 Modern and clear-looking, this table is as elegant on its own.